I carry at least 2 flash drives with me at all times, usually more when I'm working. As much as I love storing files to the cloud, not all training rooms have access to the Internet, which means I have to have a copy of my class files with me. The boys need flash drives for school. If it's not a paper they're busy writing they need to carry back and forth between school and home, it's a PowerPoint presentation. So, when I saw the chance to get a free flash drive, I knew I had to post! USB Memory Direct is giving away free 2G flash drives! Follow them on Twitter or Facebook to learn more, or visit this web page. 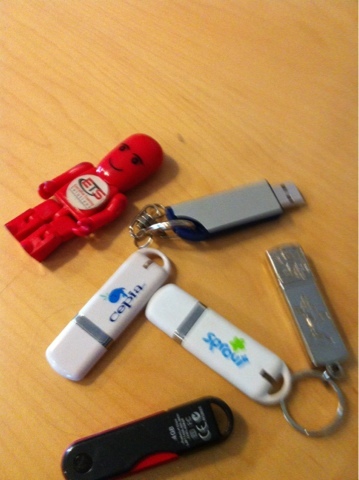 The flash drives will contain an e-book with 75 tips for back-to-school. What are you waiting for? Go and try to win your own 2G flash drive! Thanks for the lead. Am pursuing this!